Arm reduction, or brachioplasty, helps remove excess skin from the upper arm, tightening and toning the appearance and shape of this commonly troublesome area. 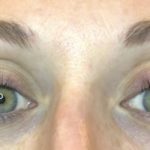 Arm reduction procedures are relatively common and simple and typically suitable for most candidates who are looking to reach their cosmetic goals and need help removing excess skin and tissue that has lost elasticity and shape. To find out if you are a candidate, contact us to arrange a evaluation. How Does Arm Lift Surgery Work? Prior to your surgery, Dr. Kjar will give you specific preoperative guidelines. Carefully follow these instructions. Arm reduction procedures are done on an outpatient basis under general anesthesia. Typically, there isn’t significant discomfort following arm reduction surgery. Any pain or discomfort can usually be lessened with prescription pain medication. 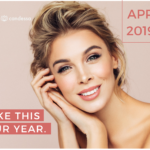 Your arm reduction surgery will include a consultation and services from Candessa Aesthetics at no extra cost, which will also help to improve your recovery. Dr. Kjar has performed hundreds of successful arm reduction procedures in his more than 25 years of board-certified experience. To get started, simply contact Dr. Kjar today to request a consultation, where you will be able to discuss your needs, ask any questions you may have, and further understand the process. 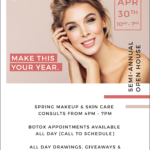 If you’d like to reserve a date for your surgery, you will need to put a $500 non-refundable deposit down.